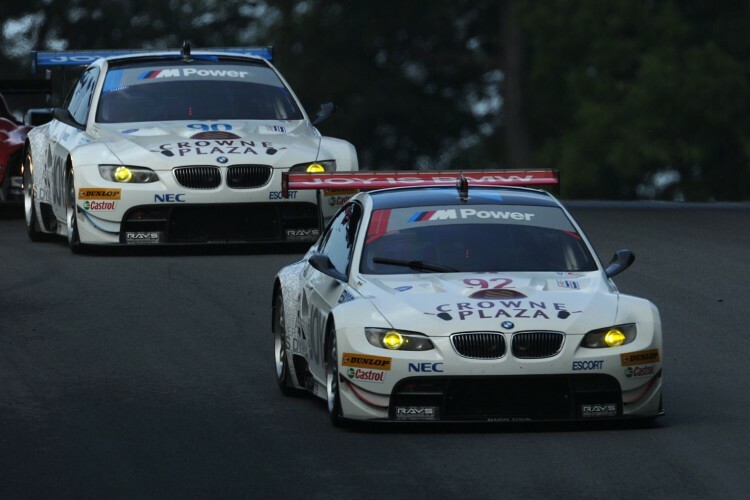 Press Release: In the biggest story of accomplishment at Saturday’s American Le Mans Series Northeast Grand Prix at Lime Rock Park, the BMW Rahal Letterman Racing Team M3 GTs scored 2nd and 3rd place finishes in a triumph of race strategy at BMW’s home track. Recovering from an unfortunate qualifying result which placed the team at the rear of the starting grid, drivers Tommy Milner and Bill Auberlen finished 2nd,, while co-drivers Dirk Muller and Joey Hand scored 3rd place and set the fastest GT-class lap of the race (Hand) at 0:55.943 seconds. With this result, the team continues the success streak of the BMW M3 at Lime Rock Park. 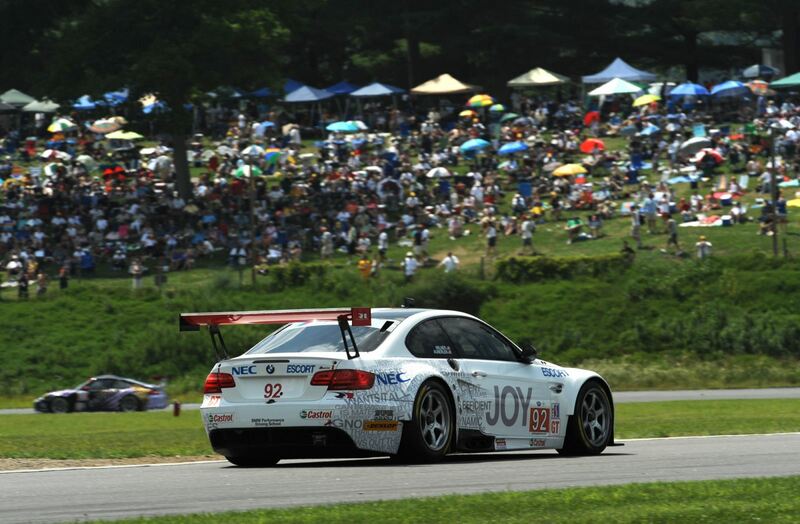 BMW of North America has never raced an M3 at Lime Rock Park without scoring a podium finish, and today there were two. In five races elapsed this season, the two-car team has scored seven ALMS GT podium finishes. Tommy Milner (No. 92) started from the 9th spot on the grid and began the attack, quickly reaching 7th place by Lap 9. Also by lap 9, Dirk Mϋller (No. 90) had reached 9th place. 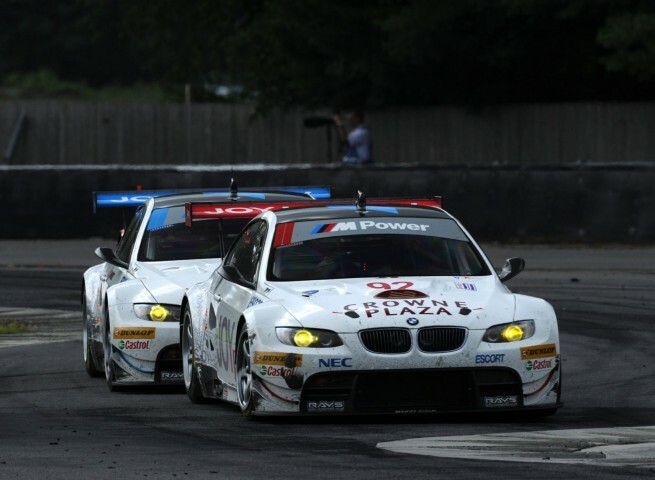 Twelve minutes into the race saw the first full-course caution period, and both BMWs pitted for fuel. During the stop, the No. 90 was able to rejoin just ahead of the No. 92, putting Mϋller in 5th and Milner in 6th at the 34-minute mark. The race’s 3rd full course caution period fell at the 40-minute mark, with Mϋller 3rd and Milner 4th. 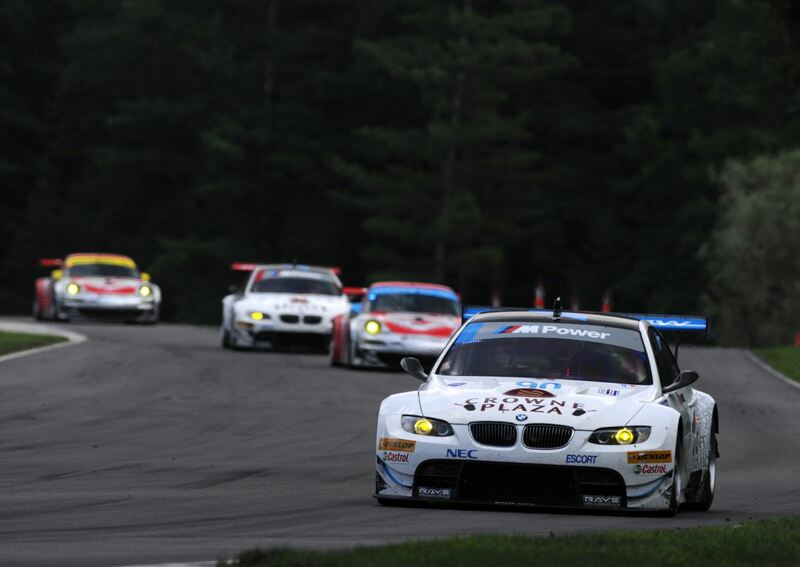 During the caution, the BMWs stayed out on track, boosting them to the 1st and 2nd places at the restart. The team finally chose to pit the M3 GTs on Lap 91 (Car 90) and Lap 93 (Car 92), about one hour and forty minutes into the race. During the stops, Joey Hand took over for Mϋller and Bill Auberlen took over for Milner. The drivers re-joined the race in 4th and 3rd places, respectively. After one of the lead competitors pitted, the BMW duo took over the 3rd and 2nd slots, and held them for the remaining 68 laps despite several attempts by Auberlen to challenge for the win, and several attempts by Hand to challenge for 2nd place. As if putting an exclamation point on the team’s accomplishment, Joey Hand was the only ALMS GT driver to set a lap time under 56 seconds Saturday. Previous post Chris Bangle presentation at TEDxMunich: GINA Concept meets PiNk!